Cooking with Vân : Mango smoothie ( serve 4). 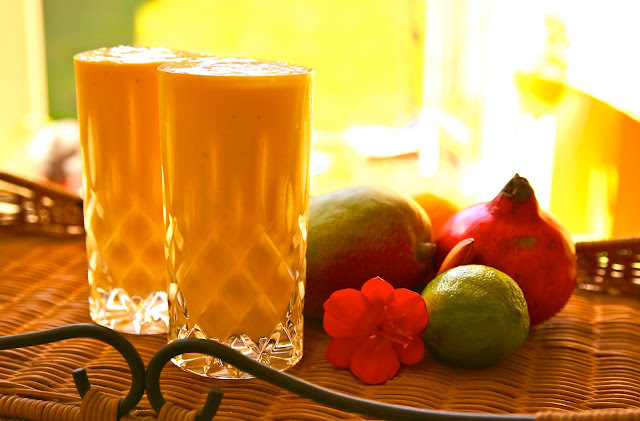 Mango smoothie ( serve 4). Summer is here and mango is in season. Time to make mango smoothie. The silky, smooth texture and the wonderful taste of ripe mango is something out of this world. I always make this smoothie every summer for my kids. Ripe mango is available in many supermarkets right now. In winter, when the craving kicks in I will use the frozen ones. The taste is still the same. The recipe is so simple. You can turn it into ice pops and it never fails to impress the kids. Avocado/ lemon juice ( optional). 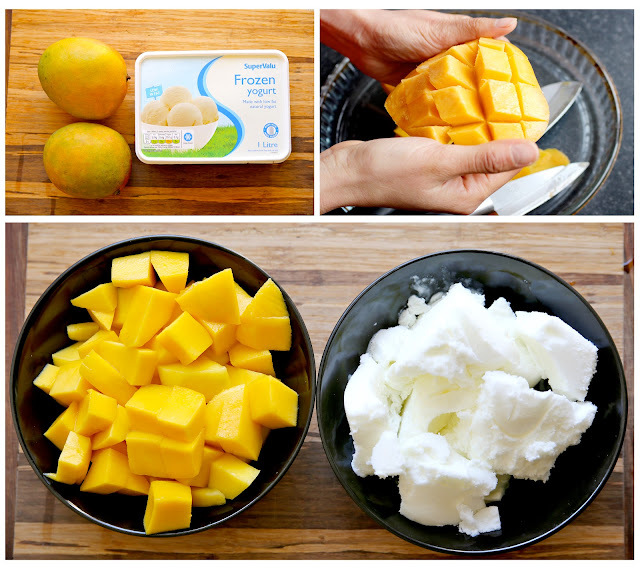 You can adjust the amount of mango and yoghurt to suit your taste. Sometimes I add in avocado to get creamier texture. To boost the flavor of the mango, a wedge of lemon/lime juice will work great. Remove the skin of the mangoes. (I usually chill the mango in the freezer for 20 minutes before making the smoothie to get this chilly smoothie for a very hot day). Add the mango, yoghurt and 1 cup of water into the blender. Blend until smooth and it's ready to serve.